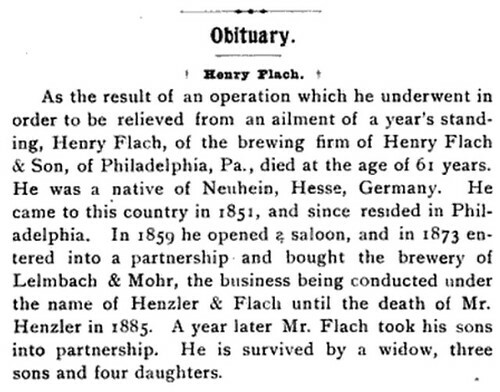 Today is the birthday of Henry Flach (November 23, 1835-November 13, 1896). 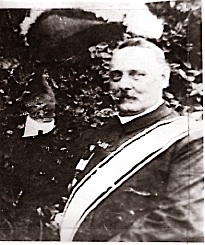 He was born in Hessen, Germany and emigrated to American when he was 16, in May of 1852. 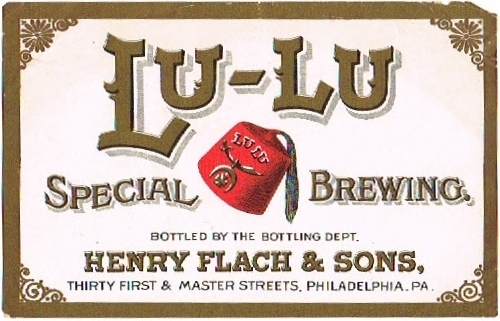 In 1880, Flach and a partner, John Henzler, bought Morris Perot’s Brewery in Philadelphia (which had opened just two years before, in 1878), who operated it as Henzler & Flach until 1885, when they changed the name to the Eagle Brewery. In 1888, Henry bought out Henzler and brought his two sons into the business, calling it Henry Flach & Sons. 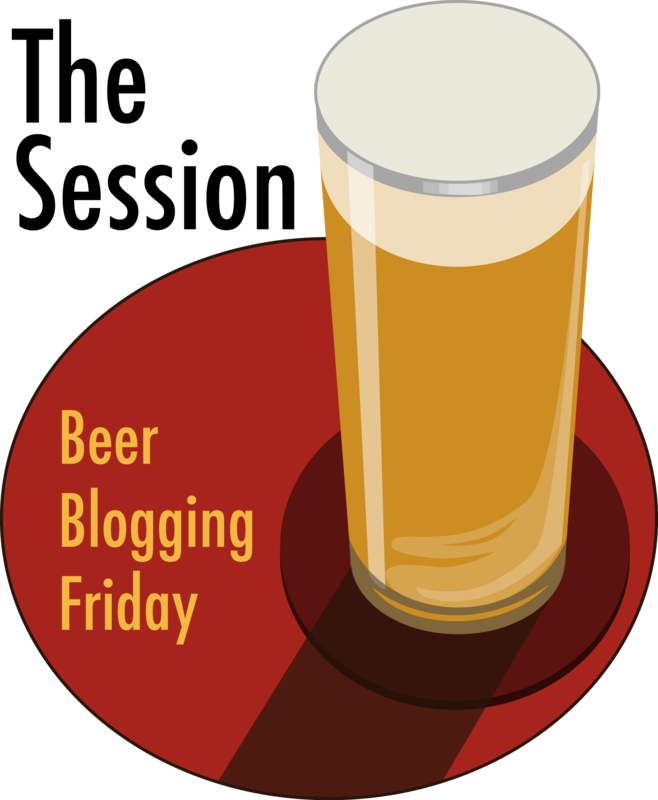 When Henry Flach dies in 1986, his sons sold the business the following years and the new owners called it American Brewing Company before it closed for good in 1920 because of Prohibition. 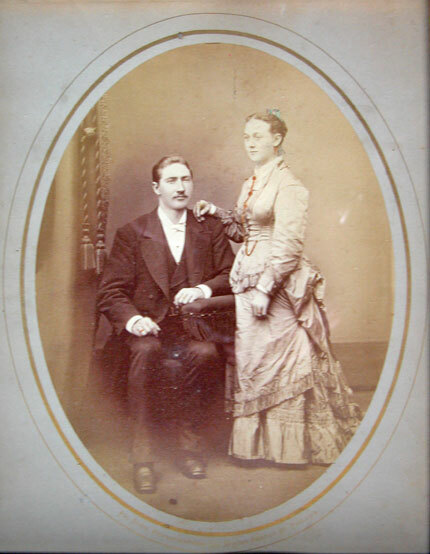 Henry Flach and his wife, Marie Rosalie Frederica Hartung. 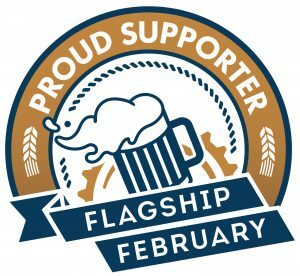 Henry Flach, a well-known brewer of this city, died yesterday at his residence, 1500 N. 52nd St. Mr. Flach had been complaining of illness for a year past and three months ago underwent an operation, from the effects of which he, for a while, appeared to have nearly recovered. Mr, Flach was born in Neuenhien, Hessen, Germany, November 23, 1835. 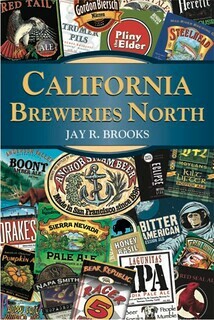 He came to this country in 1851 and since resided in Philadelphia. 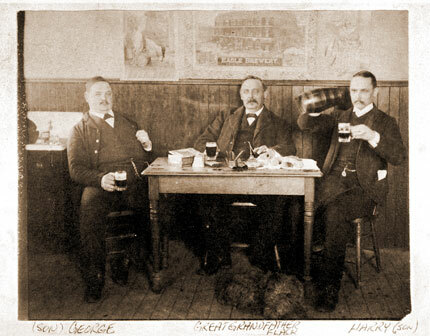 In 1860, he opened a saloon, and in 1873 entered into a partnership and bought the brewery of Leimbach and Mohr, 32nd and Master Sts., the business being conducted under the name of Henzler and Flach until the death of Mr. Henzler in 1885. A year later Mr. Flach took his sons into partnership, the firms name being changed to Flach and Sons. He is survived by a widow, three sons and four daughters. Henry is buried at the Northwood Cemetery in Phila., located off Broad St. a short distance from Temple University. His burial plot is shared with Philip Spaeter, who, according to Edna Godshall, was Henry’s best friend and the reason Henry named his last son Philip. 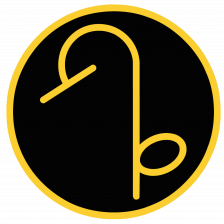 Philip Spaeter worked as a cooper and made kegs for the brewers. Philip named his son, Philip Henry in honor of Henry Flach. In a letter to Richard Flach, Muriel Flach Eldridge, granddaughter of Henry, writes that there were 33 carriages in Henry’s funeral procession. Henry was born on Nov 23, 1835 in house #5 in Neuenhain, a small village located southwest of Kassel in northern Hesse. He was baptized in the protestant church on 1 Jan 1836 and was confirmed in 1849. His godfather was Henrich Ehl who was a teacher in Bischhausen. 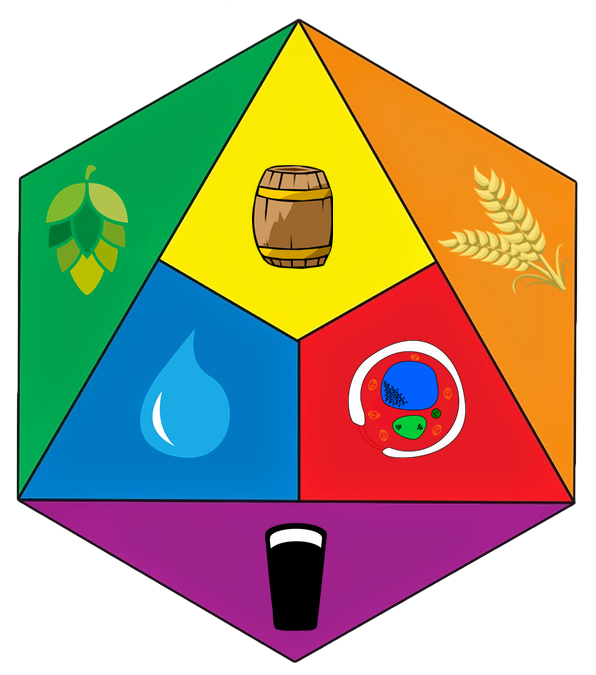 His father Johannes was an innkeeper, musician, brewer, farmer, and member of the village council. Johannes died at age 44 in 1847 on Henry’s 12th birthday. Henry’s grandfather was Conrad Flach, a blacksmith from the village of Zimmersrode which is about two miles west of Neuenhain. Conrad had died 15 years before Henry’s birth. Conrad was the son of Nicholaus Flach. 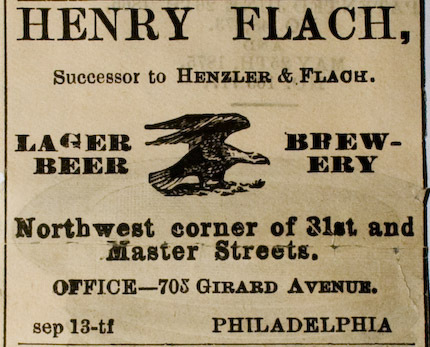 On May 6, 1852, at the age of 16, Henry Flach arrived at the port of Philadelphia, Pa. He came from Bremen, Germany aboard the ship Louise Marie. The passenger list had his name spelled (Heinrich Floch) and his occupation was listed as a farmer. Henry became a citizen on September 28, 1860 and his home in Germany was listed as the “Elector of Hesse-Cassel” and his occupation in the 1860 census says he was a woodturner.He married Rosalie Hartung, who arrived in USA from Saxony, Germany in 1855. In the Phila. census of 1860, Henry is listed as Henry (HOGG) living in the 1st ward of Phila.on June 11, 1860. His occupation is listed as a wood turner. He hailed from Hesse Cassel and wife Rosalie shows as being from Saxony. Daughter Anna (age 5) shows born in Pa. Son Henry was age 3 and also born in Pa. Son George was 1 and reported born in Delaware. In 1864 and 1865 Henry had a tavern at 1514 S. 4th St. in Phila. 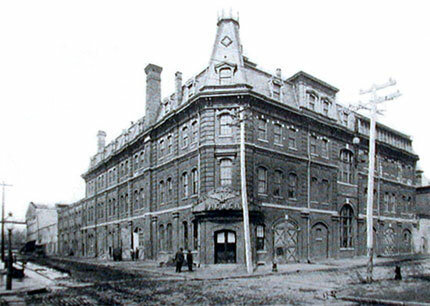 In 1866, Henry and brother George are listed at 433 Enterprise St as machinists. In 1867, Henry has a saloon at 1206 S. 4th St. In 1868 and 1869, Henry is listed in Gopsills Directory as having a “saloon” at 1206 4th St. In Nov. 1869 Henry petitioned for membership into the William B Schneider lodge as a mason and on Dec 21, 1869 Henry was initiated. On Dec 21 he was a 1st degree. On Jan. 2, 1870 he was a 2nd degree. He became a Master on Feb. 15, 1870 and passed to the Chair Dec. 12, 1871. Henry (center) with his two sons.